Do you understand the difference between a chicken drumstick and chicken thigh? Thigh refers to the leg portion that starts above the chicken’s knee joints whereas drumstick comprises of the leg’s lower portion, which is the part between the hock and the knee joints. What's more, do you know how many calories are contained in each of those parts, including calories in chicken drumstick without skin? Let’s find out. There are two kinds of drumsticks: one with its skin on and the other that has no skin. Both taste good, but one has more calories than the other does. Do you know which one has fewer? The following table shows calories in 4 oz. of all the items, including calories in chicken drumstick with no skin and with skin. Now that you know how many calories are present in a chicken drumstick without skin, let’s move on to learn a delicious and easy recipe to make skinless chicken drumstick. 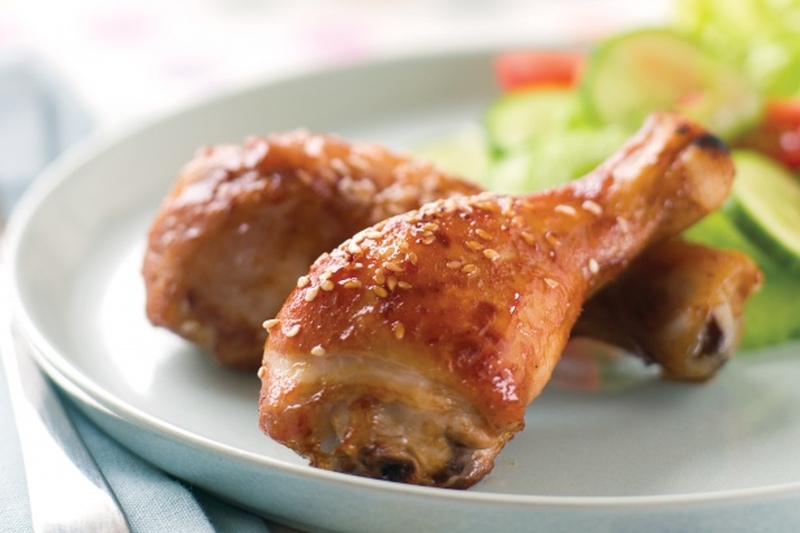 With less than 200 calories in chicken drumstick no skin, this recipe is perfect for you if you are on a weight loss regimen. The following recipe takes a total time of one hour and makes 12 pieces. Combine all the ingredients mentioned in the table above, excluding the skinless chicken drumsticks. Mix them in a big zip lock bag and then add chicken in it. Marinate for 30 minutes. Preheat the oven to about 425° F.
Line a big rimmed baking sheet that contains extra-wide foil. Place it on a cooling rack. Take out the drumsticks from the marinade and put them on the rack. Bake them for about 45 minutes and turn them once after about 35 minutes.